Families reap lots of benefits by volunteering together. Promoting personal growth and developing empathy for others are just the beginning. Making a difference in the world can deepen your family bond as you work together on a meaningful project. First find an issue you care about, then jump right in. These 10 organizations will get you started. or assisting with special events. Orientation and animal behavior classes are part of the training. Animal Friends offers ideas for kids who are too young to be official volunteers. 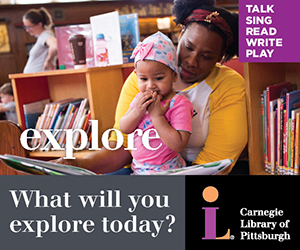 They can distribute the Petsburgh Press newspaper to friends and neighbors, for example. Or join the Street Team to help get the word out for pets in need of homes. Just the print the flyers and post throughout your neighborhood. Kids have a better chance to succeed at school when they have the supplies they need. 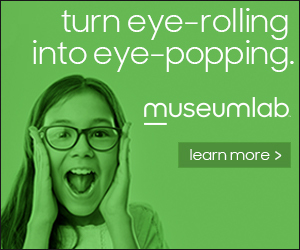 The Education Partnership helps that happen. Now in its 10th year, the Education Partnership provides supplies to students and schools in need. The nonprofit currently services 110 local schools and their 45,000 students. Teachers can “shop” for supplies in the free Teacher Resource Center or take advantage of the STEM Lending Library. 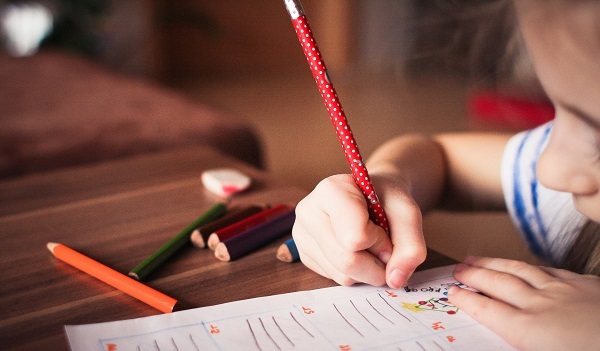 Kids can help within the Students 2 Students program with fundraisers like lemonade stands or bake sales, holding coin drives or setting up a school supply collection of scissors, markers and paper. Teens and parents can volunteer in the Resource Center warehouse. Tasks might include unpacking and organizing supplies into homework kits and prepping supplies for teachers. Help is needed to greet teachers, restock supplies and help carry materials to their cars. The good feeling comes from knowing kids will have basics like crayons, pencils and notebooks that are needed to be successful in school. Groups of up to 12 cook meals for the resident families of Ronald McDonald House. Organize a Family Social Hour to help lower the stress level for those caring for sick kids. A movie night might include a DVD rental and snacks. Bring a craft activity for a fun session of creativity. Or coordinate a session of cookie baking and decorating. 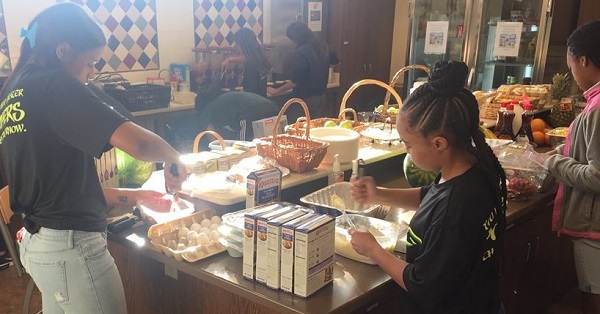 The Meal Program works for groups – up to 12 people – who prepare a meal in the Ronald McDonald House commercial kitchen. It’s an ideal opportunity for you to bring your prep-cook kids and provide sustenance to appreciative families. You’ll find guidelines, meal inspiration and a calendar where you can pick your date. Another fun way to volunteer with your kids is to assemble Welcome Bags. Have them consider thoughtful and fun items for RMH kids. Packaged snacks, juice boxes, coloring books, puzzles and craft items will help keep kids busy and offer a positive outlook. 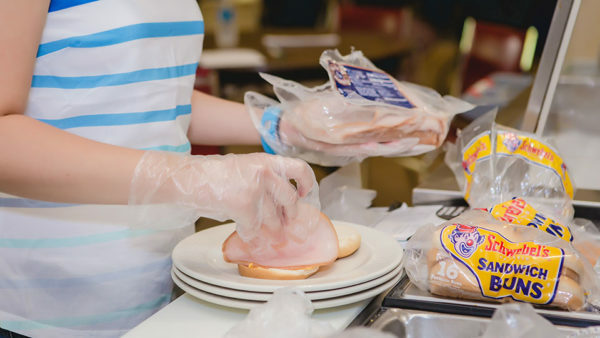 Help prepare meals for the residents of Bethlehem Haven. More than 600 volunteers help Bethlehem Haven keep their doors open every year. The Haven offers emergency shelter for homeless women, serves both women and men in its health and wellness clinic, and works with others in the day program. Lunch and dinner are provided daily. High school kids are welcome to volunteer when accompanied by an adult. Teens can help prepare and serve meals; organize activities like bingo, games or crafts; and help coordinate fundraisers. An activity box, for example, can be made from a decorated shoebox filled with cards, puzzle books and small games. Make placemats and centerpieces to brighten up the dinner table or artwork for the bulletin board. Group projects might include collecting new socks or towels. When the weather outside is frightful, there is no better gift than to clear the walk and steps of an elderly neighbor. Snow Angels, organized by the City of Pittsburgh, matches you and your kids with a neighbor who needs your help. Removing hazards like ice and snow keep the frail and disabled safe from slips and falls. Sign up online to request your specific neighborhood and be connected with a nearby neighbor. A family armed with snow shovels can quickly and efficiently clear icy paths while fostering warm relationships within your community. Helping others is a win-win for families who volunteer together. Over 5,000 volunteers helped the Greater Pittsburgh Community Food Bank feed hungry families in 2018. But even more volunteers are needed to support the mission. 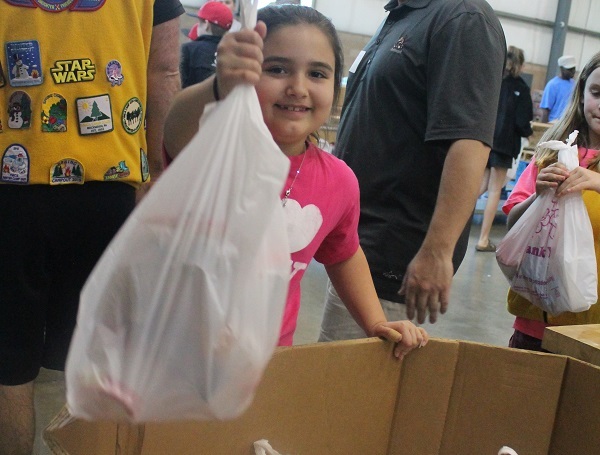 Working with the Food Bank helps kids understand how other families struggle with basic needs. Kids as young as 6 can participate in Family Volunteer Days. Sign up for one of two shifts scheduled on Saturdays twice a month. The 1-hour commitment might include packing bags with enough food for a child to get through the weekend. Take advantage of the behind-the-scenes tour of the Food Bank and its operations. A grownup must accompany every two kids under 12. The Repack Center offers shifts for ages 12 and older Mondays through Saturdays. With a lot of donations delivered to the warehouse in bulk, the job here is to repack food into family-sized packages for distribution. Coming up this summer, from June through December, is the chance to head to the fields for gleanings. Kids from age 7 and up can take part in rescuing produce left in a field after harvesting. As the season approaches, sign up for Glean Alerts, kind of like a Bat Signal for Food Bank superheroes! Packing travel bags is one of the tasks volunteers perform through the Foster Love Project. Andrew and Kelly Hughes’ commitment to helping Allegheny County’s 2,500 foster children was the impetus for their Foster Love Project, a nonprofit they launched in 2014 to help ease the transition for kids in and out of home placements. Foster Love provides travel bags to replace the plastic bags that hold their few personal items. The Foster Love bags are packed with pajamas, a blanket, stuffed animal, socks, toiletries and a book. The Foster Love donation center allows foster parents to shop for free supplies and clothing for kids. Volunteers of all ages keep the operation clicking along. Families with kids 5 and older are welcome to sign on to a shift. Tasks include sorting donations, folding clothing, straightening shelves, cleaning and helping shoppers. Volunteers at Global Links help organize surplus medical supplies to get them where they’re needed most. This is big picture stuff. Global Links helps deliver critically needed medical supplies to the needy both locally and around the world. 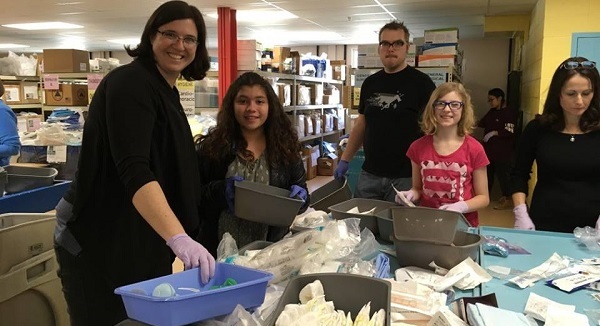 Working with health institutions in Pittsburgh and throughout the Mid-Atlantic region, about 2,500 volunteers go through surplus supplies that would otherwise end up in landfills. About 300 tons are rescued and put to good use annually. You and your kids can sign up to schedule a volunteer shift, where you will sort and pack medical supplies. Schools and community groups are welcome to participate together to help spread medical relief to those who need it most. It’s a family affair for volunteers with the Western Pennsylvania Conservancy. Take photos and video or help file and catalog them. As spring approaches, plant trees in parks and along trails. Starting in March, help maintain and restore the WPC’s 12,000 acres of nature preserves. Tasks include clearing invasive plants and maintaining hiking trails. In April, community gardens require help clearing and planting flower beds. The 130 garden projects welcome all skill levels. Teaching and learning are part of the joy. No matter what you choose to do, appreciate the family time spent helping our community. 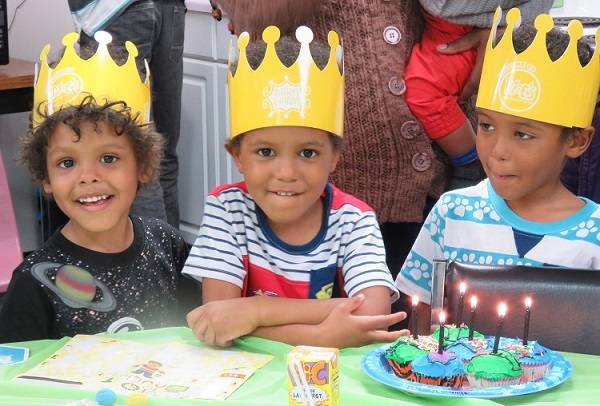 Create a memory for kids who might not have a chance to celebrate their birthday with a party through Beverly’s Birthdays. Everyone loves a party! Beverly’s Birthdays throws parties for kids from families in need with the help of an enthusiastic army of volunteers. Last year alone, more than 3,000 kids celebrated their birthdays with this organization. Birthday volunteer staff generally begin at age 18 but can include teens ages 15-17 when accompanied by an adult. You’ll help with set up and clean up. In between, you’ll lead games, supervise play and serve refreshments. Newbies receive a Beverly’s Birthdays T-shirt – or can come dressed as a superhero. Another family opportunity for all ages is to volunteer as a Birthday Treat Bag Sponsor. You will be told the party theme and the number of bags needed for a specific party. 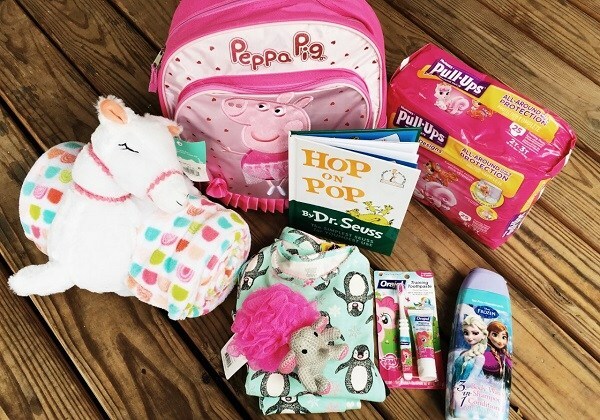 It’s up to you and your kids to be creative in filling the bags with fun stuff. 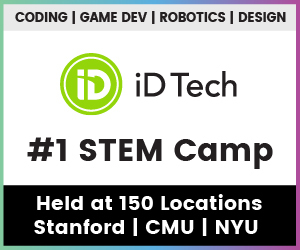 Check out the calendar to register and commit to upcoming dates.